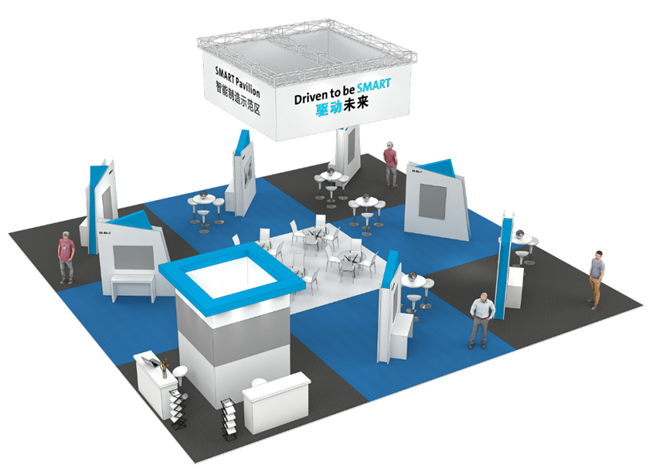 The SMART Pavilion 2018 was a special showcase area for smart power transmission and fluid power solutions. 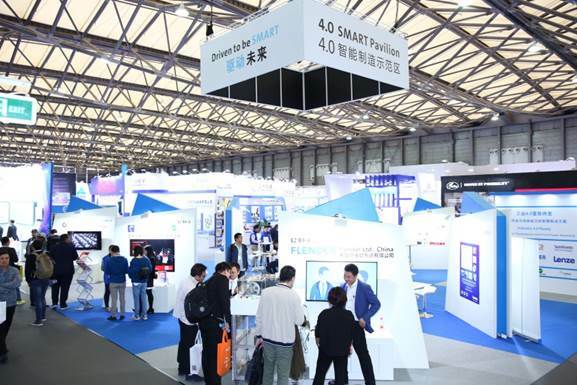 Under the theme “Industry 4.0 Ready” six leading brands demonstrated their latest products, which stand out in terms of reliability, sustainability, energy efficiency and life cycle costs. 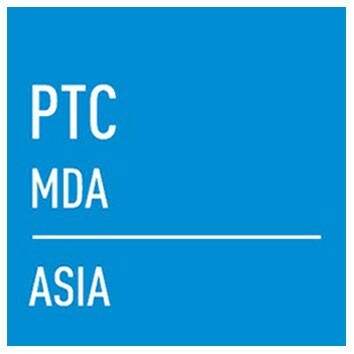 The open design of the pavilion encouraged technical discussions between PTC ASIA’s visitors and the different brands. ARGO-HYTOS Fluid Power Systems (Yangzhou) Co., Ltd.
Flender is not only satisfied with the leading position in the mechanical aspects of the Gear Units, while digital gear units will also become an important direction of our development. Mechanical equipment in operation will produce vibration, many of which are generated by rotating parts, such as gears, bearings, shafts and so on. Vibration indicates the dynamic load, installation foundation and application environment of mechanical equipment. It can provide important information for evaluating the operation status of mechanical equipment, as well as help diagnose fault. It is known to all that most of the failure processes of mechanical parts are gradual rather than sudden. Over time, the degree of failure will continue to increase and will be manifested in different forms, such as vibration, noise, heating, smoking and so on. Forms perceived subjectively like heating and smoking usually happen in the late period of failure, resulting in economic or equipment losses. Therefore, vibration monitoring can detect damage in the early period of failure, and provide appropriate maintenance programs to avoid unwanted downtime. 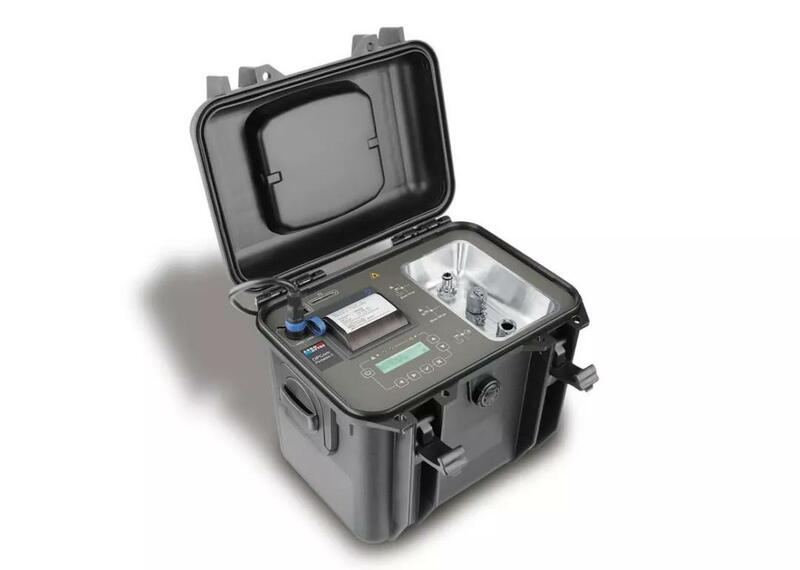 Flender has been long dedicated to develop condition monitoring solution that simultaneously monitors the vibration, temperature, rotational speed, torque and other information of the gearbox, comprehensively obtains the operating status of the gearbox, achieves early targeted prevention, avoid unknown failures and downtime, helps customers reduce maintenance costs and practically applies to wind turbine generator and vertical mills gear units. It is also being used in standard type gear units. 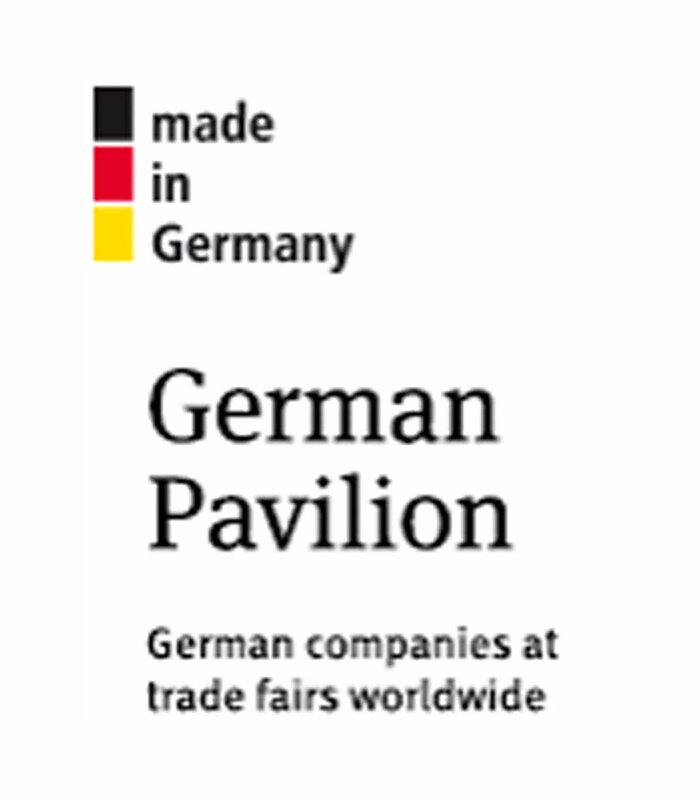 In the future, adhering to Siemens’ values, Flender will provide customers with innovative products, complete solutions and superior services to be customers’ first choice, lead the market and help China's manufacturing industry to strive for further improvement. A single drive for logistics applications. New freedom in motion for engineers. 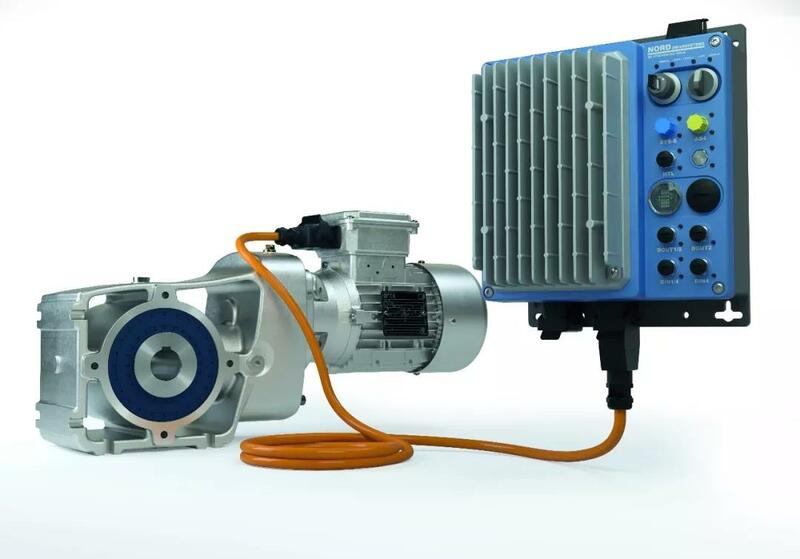 The Lenze Smart Motor reduces the number of different drive versions by up to 70%. Without contactor or starter, fixed speeds can be set at will and there are many integrated functions for materials handling applications. 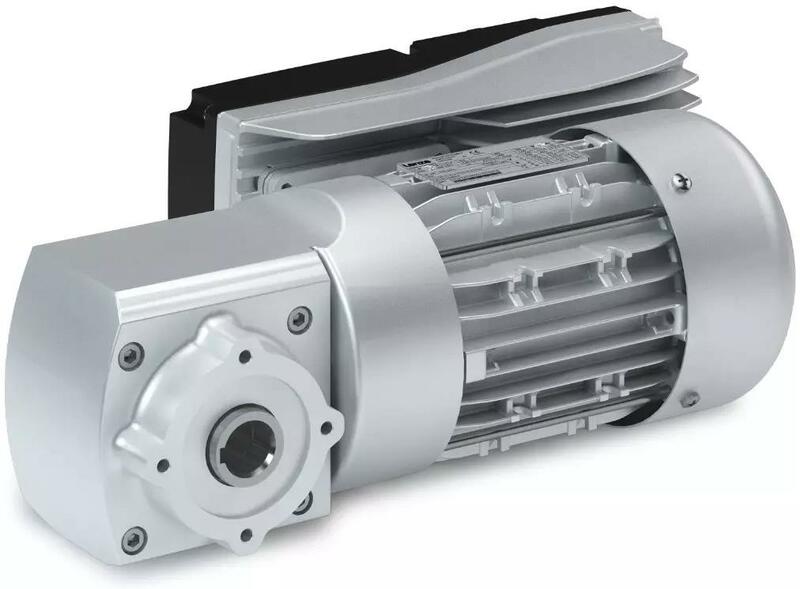 The Lenze Smart Motor also meets the strictest energy efficiency requirements and can be operated very conveniently using a smartphone. NORD DRIVESYSTEMS will present NORDAC LINK field distribution systems, which have been designed for easy installation, commissioning, operation, and servicing in conveyor applications. The manufacturer supplies these user-friendly new frequency inverters and motor starters configured to customer requirements. All sensor, communications, and supply lines can be easily connected via coded plugs. Maintenance switches, key switches, and direction switches ensure direct user access to every single axis. Notably, NORD offers drive configurations with a reduced number of variants for large plants. Such standardization has considerable cost saving potential in terms of purchase, installation, stock-keeping, and maintenance expenses. Sumitomo group has already been established more than 400 years. Even after 400 years, the Sumitomo family "business spirit" is alive in each of the Sumitomo Group companies. 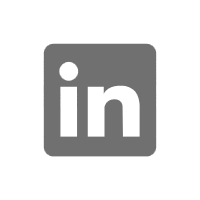 The core of the Sumitomo Group, listed below, consists of 20 companies who share the Sumitomo Emblem as well as many common values and ideals. Being the one of important member of Sumitomo group, Sumitomo drive technologies has nearly 100 years experience in power transmission and control devices area. 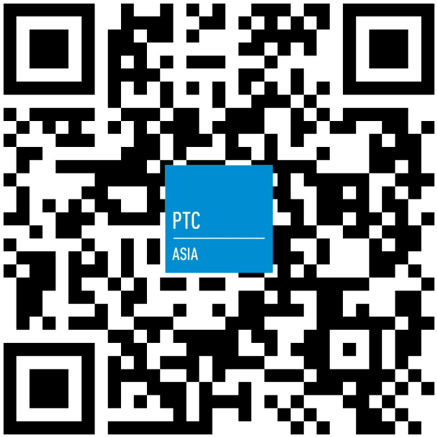 Sumitomo Drive Technologies is your “dependable partner”. 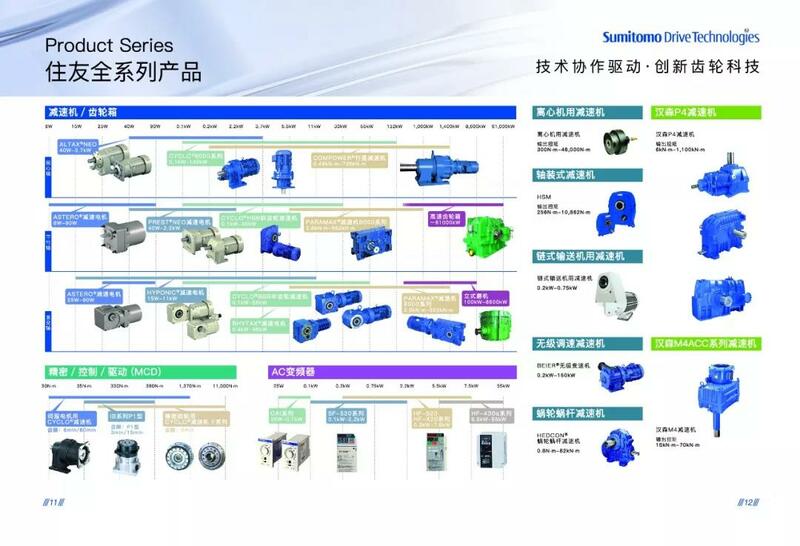 Sumitomo reducer main products and classification, divided into the MCD precision transmission, SGM small gear motor, MGM medium gear motor, GB gearbox, the planetary reducer. The global Sumitomo Drive Technologies web extends to 50 countries with 9 main hubs, 18 manufacturing plants, 39 assembly plants, and 250 sales offices. 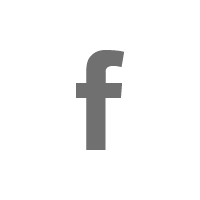 Through this extensive web, we provide the world with high performance, reliable, and premium quality products and services.